This blog post first appeared on Views from the Center. The High Level Panel on Humanitarian Cash Transfers, which I chaired, published our report this week. We concluded that the international system should take deliberate steps to seize two big opportunities to improve humanitarian aid. First, we should take the opportunity to improve humanitarian aid by providing many more unconditional cash transfers. Second, we should use the spread of cash transfers to help bring about much-needed improvements in the humanitarian system. The Panel, convened by the British government, was confronted with two competing narratives. One narrative says that the humanitarian aid system is broken. According to this view, the organisations that we need to deliver help to people in need are competing with one another and not cooperating; too much of our funding is lost in rounds of subcontracting to intermediaries; refugee crises are lasting longer than ever, and we are not equipped to deal with it. The alternative narrative is that the humanitarian system is working pretty well. On this view, the system needs more funding, but the cluster system works does a reasonable job of coordinating the contributions of different organisations; and while reform is slower than we would like, the system is continuing to improve over time. We concluded that while both these views contain elements of truth, the reality is somewhere in between. The humanitarian system does amazing work with insufficient resources, but there are striking inefficiencies and duplications which the system, left to its own devices, cannot solve. 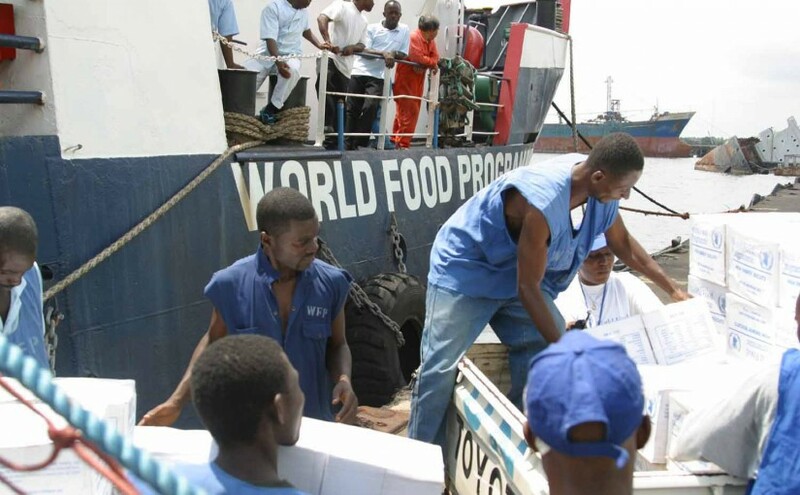 Most humanitarian aid is not what you may think. What begins as an emergency often goes on for years — sometimes decades. Two-thirds of humanitarian aid is estimated to go to countries that have received it for eight years or more. There are about 57 million people who have been displaced by conflict. That’s more people than the population of England and Wales. As the nature of humanitarian need changes, affecting more people for far longer, so too should our response. Some humanitarian agencies have started to provide cash transfers, instead of shipping in food, water, shelter, pots and pans. These cash transfers have been intensively studied — perhaps more than any other humanitarian intervention. most importantly, provide affected populations with choice and more control over their own lives. The Panel was clear that giving people cash is not always the best option. Sometimes markets are too weak or supply cannot respond, in which case cash transfers would not be appropriate and in some cases could lead to inflation. The Panel concluded that the experience of cash transfers in humanitarian situations has created two important opportunities, neither of which will be seized unless the international community makes a deliberate and conscious effort to do so. First, the High Level Panel concluded, in the light of the evidence, that there should be much greater use of humanitarian cash transfers in the settings where they are appropriate, without restrictions and delivered as electronic payments. Second, we concluded that the expansion of cash transfers offers an opportunity to address some of the long-standing weaknesses and inefficiencies in the international system. We have not recommended a specific target for the amount of humanitarian aid that should be delivered as cash. Instead we believe that the decision should be made case-by-case, to ensure that all aid is provided appropriate to the context. Our 12 recommendations seize the first opportunity by bringing about a rapid acceleration in the use of cash transfers in humanitarian situations. Cash transfers should be central to every humanitarian appeal. We should invest in preparedness, linking where possible to social protection schemes. We should systematically benchmark all humanitarian aid and compare it to giving cash instead. And we should increase the transparency and accountability of humanitarian aid, whether it is provided as cash, vouchers or in-kind. Our recommendations also seize the second opportunity: to use the introduction of cash transfers to accelerate long-needed reform the humanitarian system as a whole. To avoid duplication and inefficiency, we argue that cash transfers should be large-scale, coherent, and unconditional. The humanitarian system should leverage the skills and expertise of the private sector. And the delivery of humanitarian cash transfers should be financed and managed separately from assessment, targeting and monitoring. The large number of refugees from Syria looking for safety elsewhere has belatedly increased political interest in the humanitarian system, and has drawn attention to the changing nature of the challenge. As Mark Malloch Brown pointed out in a recent CGD essay, this is one of the global problems that we can actually get our arms around and solve. The World Humanitarian Summit in May 2016 gives us the opportunity to do that. The High Level Panel on Humanitarian Cash Transfers believes that our 12 recommendations can make a significant contribution. The High Level Panel on Humanitarian Cash Transfers Panel was convened by the UK Department for International Development. The members of the panel are: Owen Barder (Chair), Center for Global Development; Chris Blattman, Columbia University; Lindy Cameron, Department for International Development; Jan Egeland, Norwegian Refugee Council; Mohamed Elmi, National Assembly of Kenya; Michael Faye, Segovia and GiveDirectly; Jacquelline Fuller, Google.org; Marcia Lopes, Independent; James Mwangi, Equity Bank; Tara Nathan, MasterCard; Andrew Natsios, Texas A & M University; Toby Porter, HelpAge International; Claus Sorensen, European Commission’s Directorate- General for Humanitarian Aid and Civil Protection; Jane Waterman, International Rescue Committee and Lauren Woodman, Nethope. I should like to thank the Panel’s smart, committed and hard-working secretariat at ODI: Wendy Fenton, Sarah Bailey, Paul Harvey, Rachel Slater, Simon Maxwell and Fiona Lamont; and Theo Talbot at the Center for Global Development. The content of this website is licensed under a Creative Commons Licence. Some rights reserved. Some of the images on this website are copyright. Header image © Corporal Marcus L. Miller | 26th MEU(SOC) PAO (U.S. Marines) – 26th Marine Expeditionary Unit (Special Operations Capable) Public Affairs Office.